"I highly recommend Jennifer as an equine body practitioner. She has worked on both of our mares with excellent results. Not only do they move better after treatments the actually enjoy the process, Jennifer has great rapport with my mares. Thank you Jennifer!" - Cheri G.
"Jennifer has been working with my mare who suffers from Navicular Syndrome, a progressive degenerative condition of have the navicluar bone in her front hooves. She has heel pain and is often lame. I have had Jennifer working on Te now off and on for about a year. During the body work Te is always giving us many "releases" or indicators that she is feeling very good. She licks and chews, yawns, stretches her neck and basically acts very agreeable! I have noticed that she moves much better after and generally acts more comfortable and in less to little pain. I love that mare and I want her to have the best quality of life she can. Jennifer helps me provide that for my girl." - Joni R.
"Jennifer has worked on my entire family - those with 2 legs and 4 legs. The work is so relaxing, and I'm amazed at how much better I feel. My dogs get super excited to see her because they love the work as well. My mom has a frozen shoulder, and Jennifer was able to help her regain range of motion in just 2 sessions. I had never heard of Ortho-Bionomy until I met Jennifer, and now I recommend it to everyone that I think it will help, which is pretty much everyone!" - Katie B. 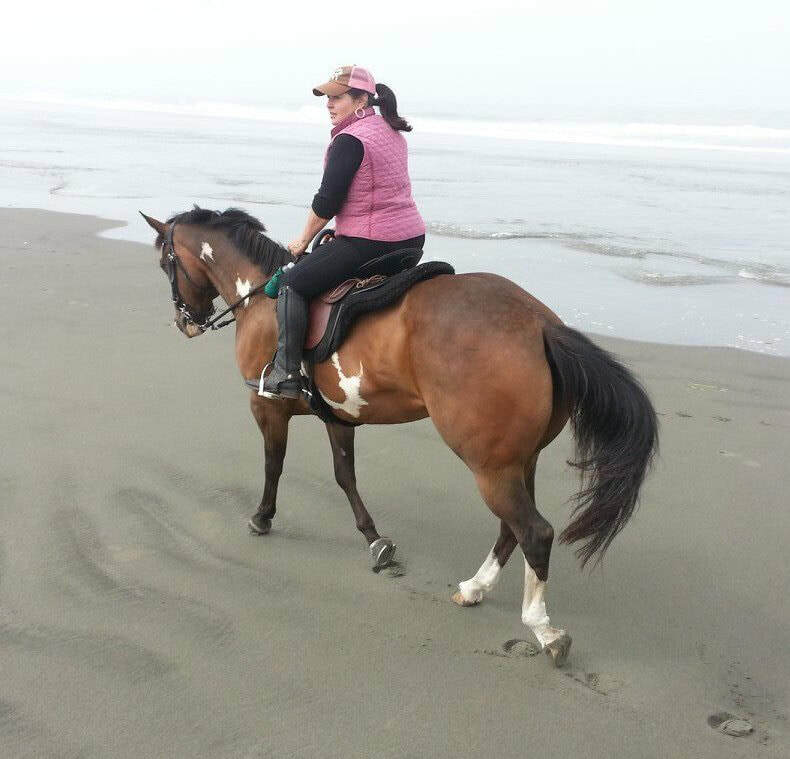 "My horse greets Jennifer with enthusiasm and loves the body work she does. She's very tuned in to what the horsed wants and needs but always keeps and open dialogue with them. Her work has definitely helped with various body issues in my horse through realignments and noticeably releasing tightness in his body. The fact that my horse wants her to work on him says a lot about the effectiveness of her work." Kathy D.
"I met Jennifer Hickel via horses, when we were both boarding at the same stable, in late 2012. In August of 2017 I learned of Jennifer’s study with Ortho-Bionomy® and invited her to work on my young mare who was experiencing some tension, boredom and healing, from a previous ovariectomy. I watched as my mare began to accept and enjoy the sessions and show Jennifer her areas of contention. Witnessing the difference in my mare’s attitude, in the days following, was amazing. In early 2017, I had my second full joint replacement and was facing another one in late 2017. After working on my mare, in a couple of brief sessions, Jennifer introduced me to Ortho-Bionomy® for people! Since coming out of my second surgery, this last winter, Jennifer has worked on my body, on an, almost, weekly basis. The difference in my healing has been amazing. Healing from 2 major surgeries in one year is a long slow process. Because of Jennifer and Ortho-Bionomy® I have more up and healing days than down days and, as well, have a better understanding of how everything in the human body relates. My mare is also doing well. When Jennifer works on her there is much improvement and more freedom of movement after each session. And the flow of communication between them is wonderful and gives me insight as to what my mare is looking for from me. I cannot describe how the energy created through Ortho-Bionomy® feels and I would imagine it would be different for each person (or animal). But it is amazing and then to realize (ah-ha type moment) that through Ortho-Bionomy®, your body is beginning to heal itself." Sue J.